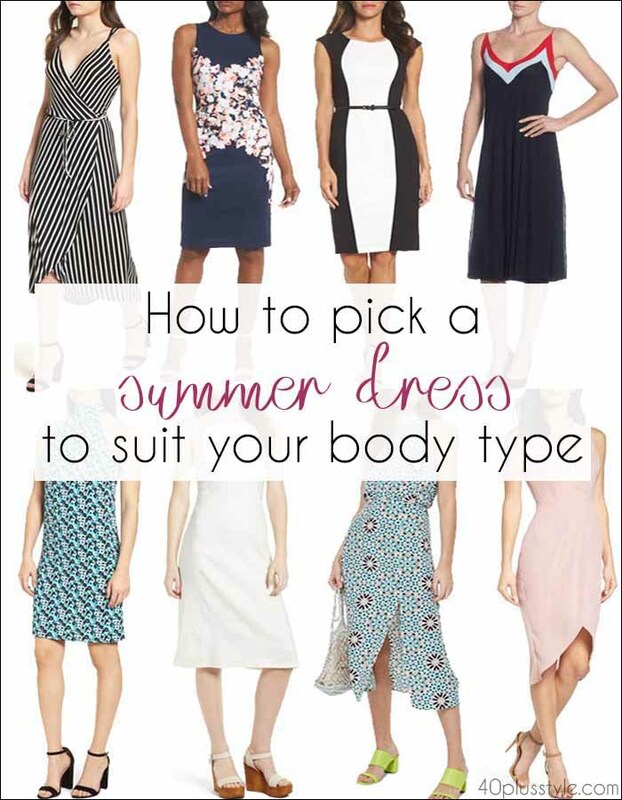 Whether you’re an hourglass, a rectangle, an apple, a pear or an inverted triangle, here are some top tips to help you find a summer dress to flatter your body type. 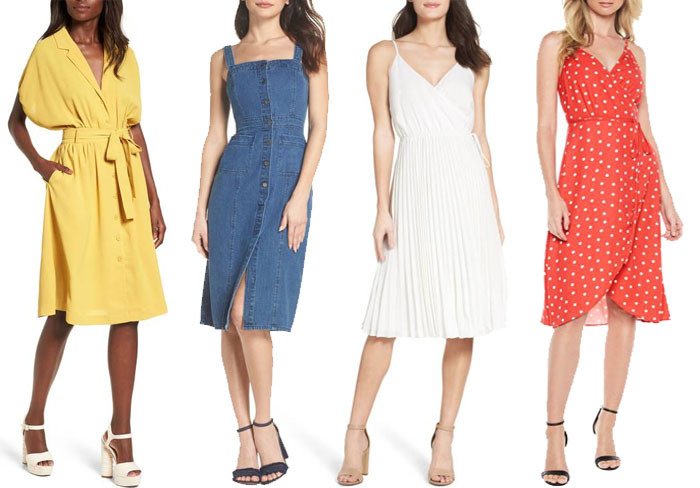 While shopping for a summer dress can seem daunting because there are so many styles, colors and shapes to choose from, once you know what your body shape is, choosing a dress becomes so much easier. If you’re not sure what your body type is take a look at this guide to determining your body shape. Plus, when you find the perfect summer dress to fit and flatter, whether you’re attending a special occasion or you are looking for vacation wear, you’ll feel so much more confident. 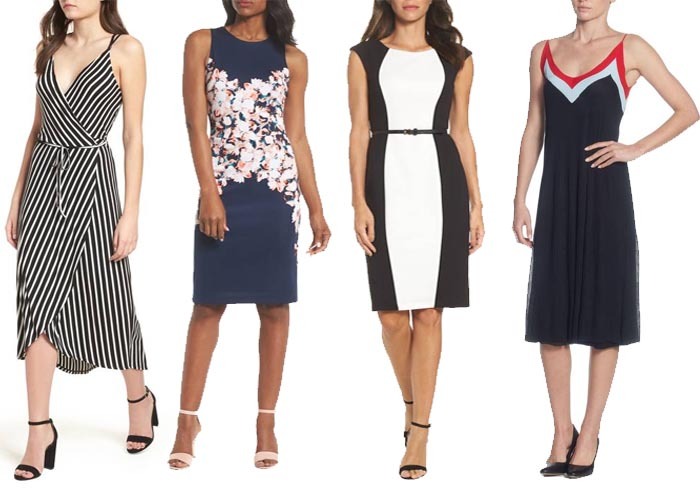 Here are my picks of summer dresses in stores now to suit the main body shapes. If you tend to put on weight around your tummy, then you’re likely to be an apple shape. The key is to look for dresses which won’t cling to your belly, but which will skim over it. That way, you can cover up the parts of you which you aren’t so confident about and show off your shapely legs. Look out for shift styles which will skim over the body, rather than clinging to every contour! Knee-length styles will show off your calves. 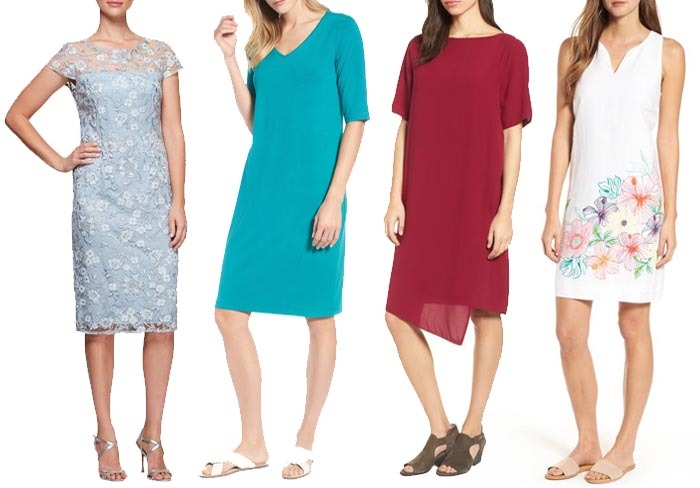 Eileen Fisher is always a good go-to for body-skimming shift dresses. New colors including turquoise have been added this season, and you can use as a base for layering with long vests or cardigans. Tommy Bahama also has some good vacation shift dresses. For formal summer events, Alex Evenings is worth a look, particularly as there are often matching layers to create a lean silhouette. There are more tips here on how to dress the apple shape. If your shoulders and hips are the same widths but there is little contrast between those and your waist, then you need a summer dress for the rectangle shape. Most dress shapes can work for you. 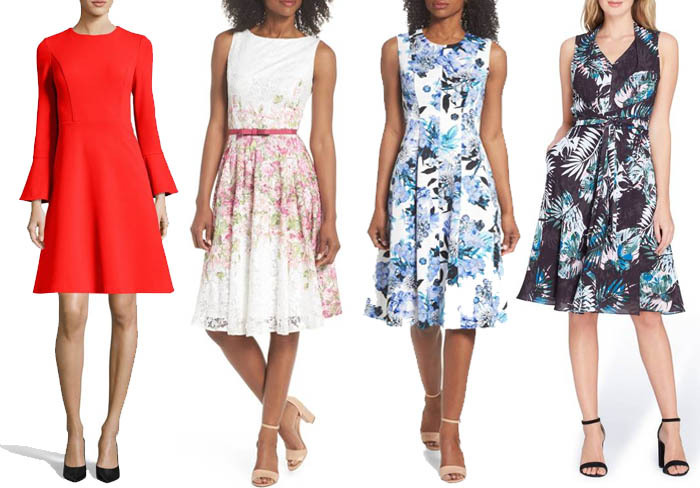 You could choose to ignore the fact there’s a waist under there at all and opt for a shift dress or a trapeze style like the apple shape, or you could go with an illusion dress to create curves where there aren’t any, like these below which use strategically placed patterns and panels to create curves. Look for strategically placed patterns, stripes, pockets and ruffles to add shape to your figure. 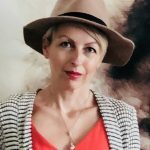 There are more tips here on how to dress the rectangle, including a great video from stylist Ruth Essex in which she explains why stripes are a good choice for rectangles! Look for summer dresses which have a defined waistline. They don’t necessarily have to have a belt, but they should follow your own shape. That way, you show off your slimmest point, and don’t make yourself look heavier than you actually are. I always think hourglasses look especially beautiful when they channel some old school Hollywood glamor and dress as if they were Marilyn Monroe vacationing in St Tropez! Our very own 40+ stylist Ruth Essex definitely has this style down to a tee. Check out some of her summer looks in her style interview. Plus there are more tips here on how to dress the hourglass shape. Pear shapes will carry weight on their hips and thighs, but will usually have a trim waistline and nice, shapely shoulders. Choosing a sleeveless fit-and-flare style will allow you to show off the top half of your body, drawing attention to your toned arms and slim waist, while the full skirt will hide anything you’re not so confident about. 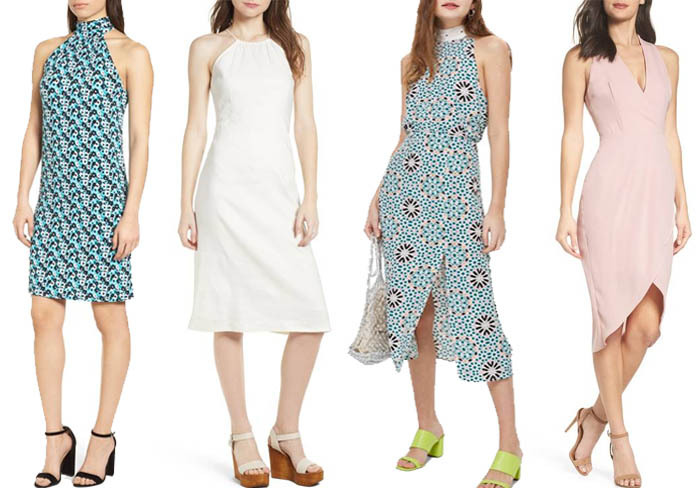 Eliza J is a good brand to take a look at for fit-and-flare dresses. They can be dressed down with your favorite jean jacket and sandals or sneakers, or you could team them with heels and a clutch bag for summer events. There are more tips here for dressing the pear shape body. If you’re an inverted triangle, then your shoulders will be wider than your hips. To create balance, you can opt for slimming necklines and wearing less material on top. A halter neckline usually looks beautiful on the inverted triangle shape, as it has a slimming effect on the upper body, while still showing off shapely shoulders and toned arms. I particularly love the geometrical patterns of this midi dress, which could easily be worn as a vacation dress, or dressed up with heels in any number of colors for summer parties. There are more tips here on dressing the inverted triangle. Do you choose your summer dresses to suit your body shape, or do you simply choose styles you are drawn to? I am an apple shape. Wish there were something a little more attractive in dresses for my shape. Guess that’s why I tend to wear pants and tops most of the time. Thank you for the post. Previous post: How to wear pink – a comprehensive guide with lots of ideas and color combinations!